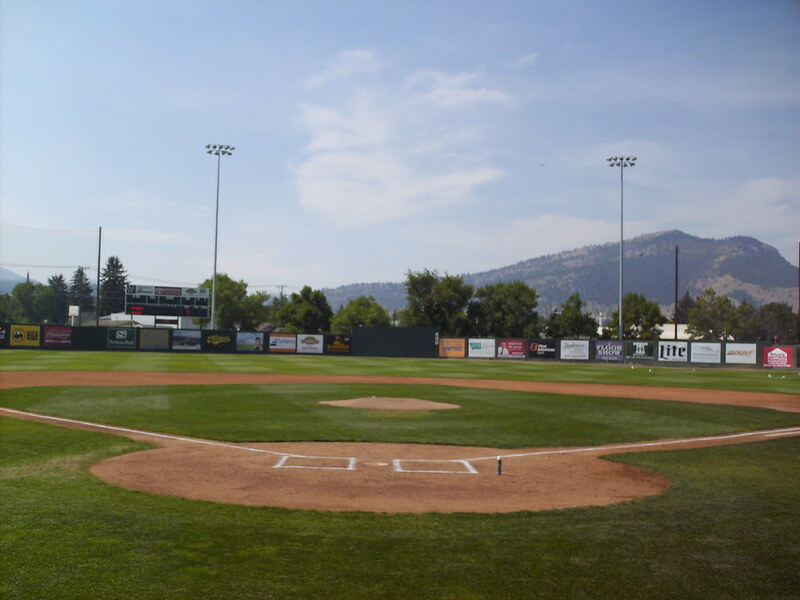 The view from behind home plate at Kindrick Legion Field. 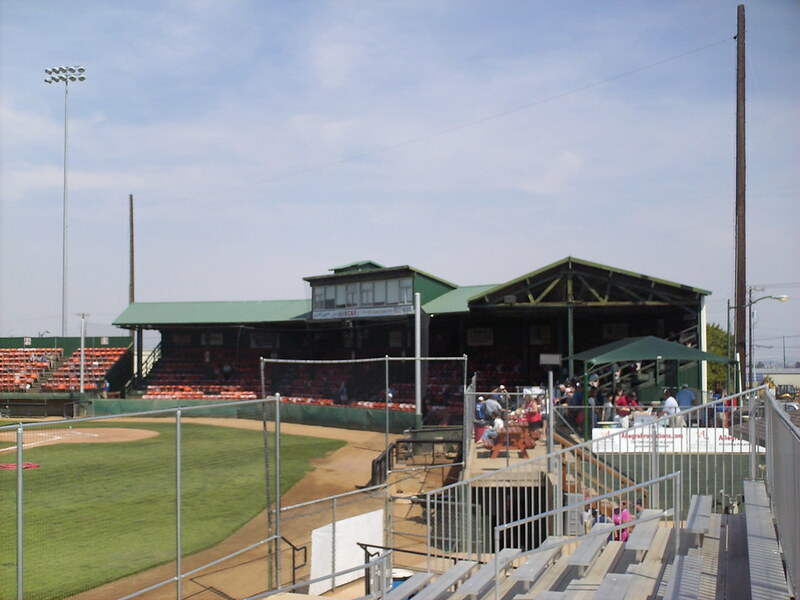 The covered grandstand at Kindrick Legion Field. 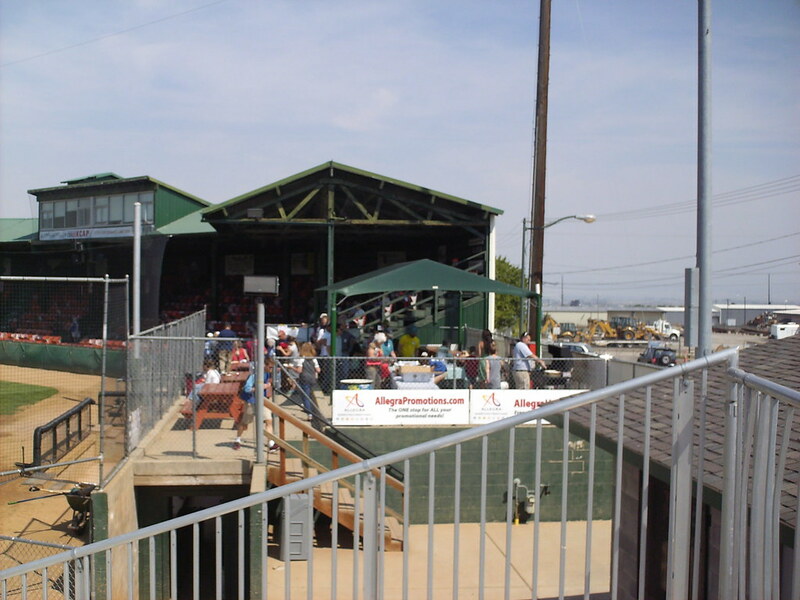 The pressbox sits atop the grandstand roof, and a covered picnic area sits next to the stands on the third base side. 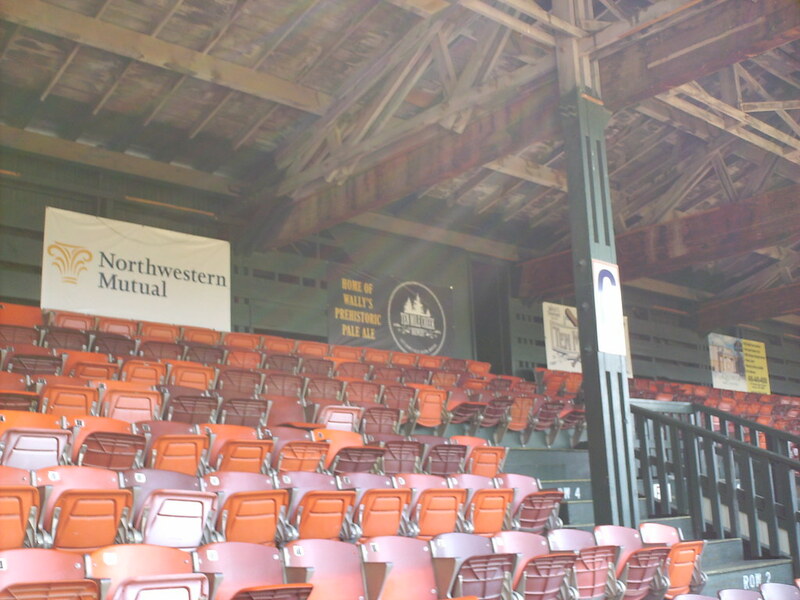 The grandstand features a wooden roof and mismatched plastic seats that originally came from the Oakland Coliseum. 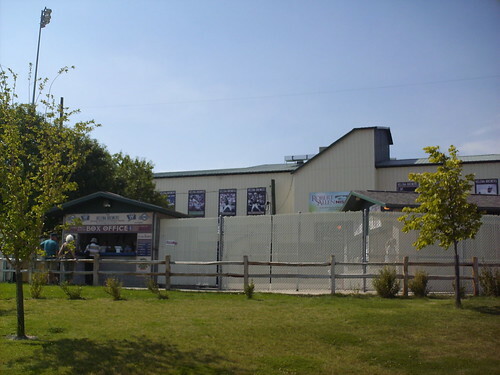 Two rows of box seats sit at the front of the grandstand. 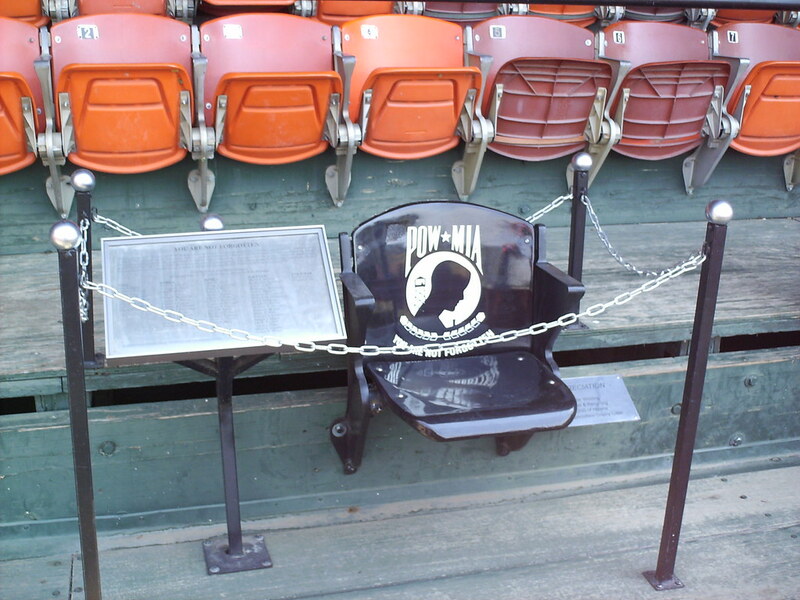 A single seat is left permanently open to honor American Prisoners of War and soldiers Missing in Action. 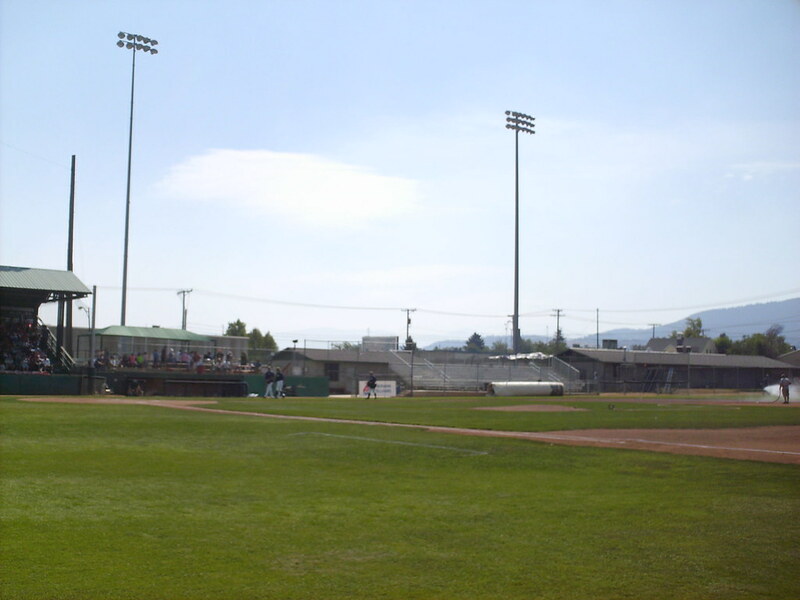 A large wooden bleacher section with fold-down seats sits beside the grandstand on the first base side of the park. 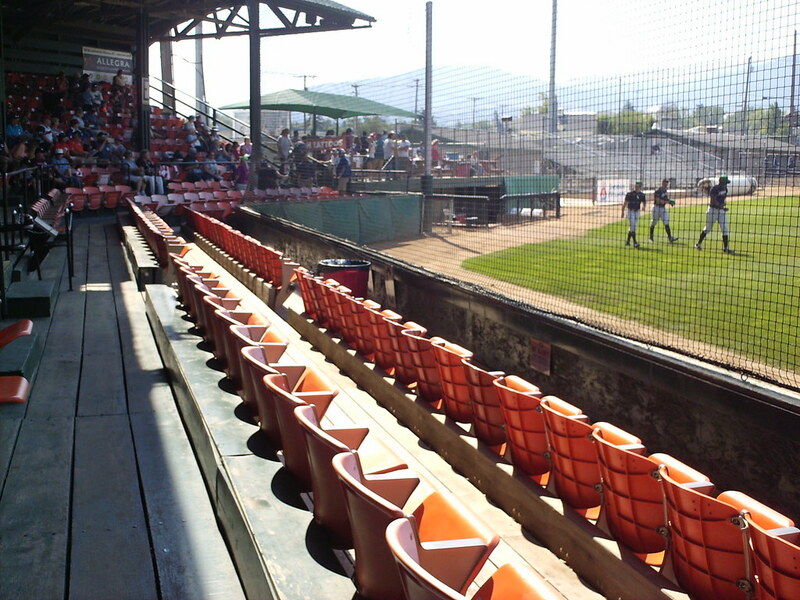 A small metal bleacher section sits beside the larger wooden bleacher. 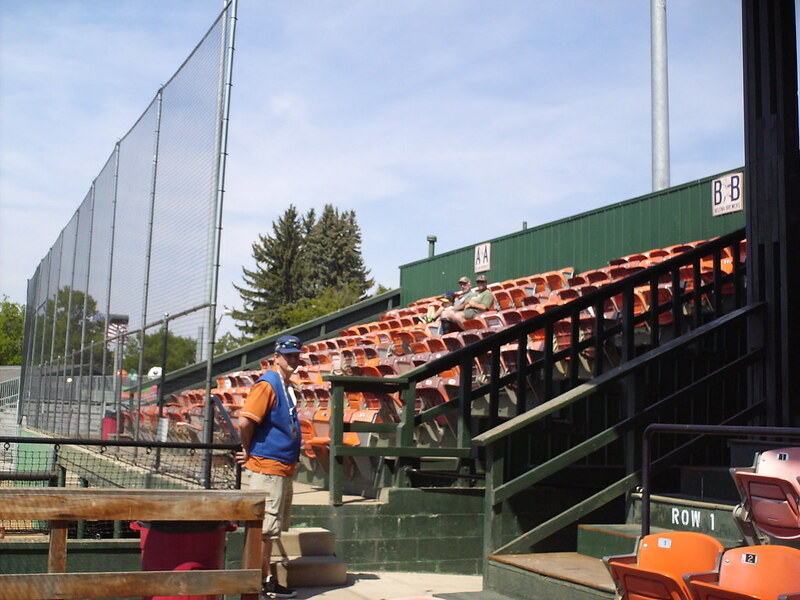 Another small aluminum bleacher section sits down the third base line. 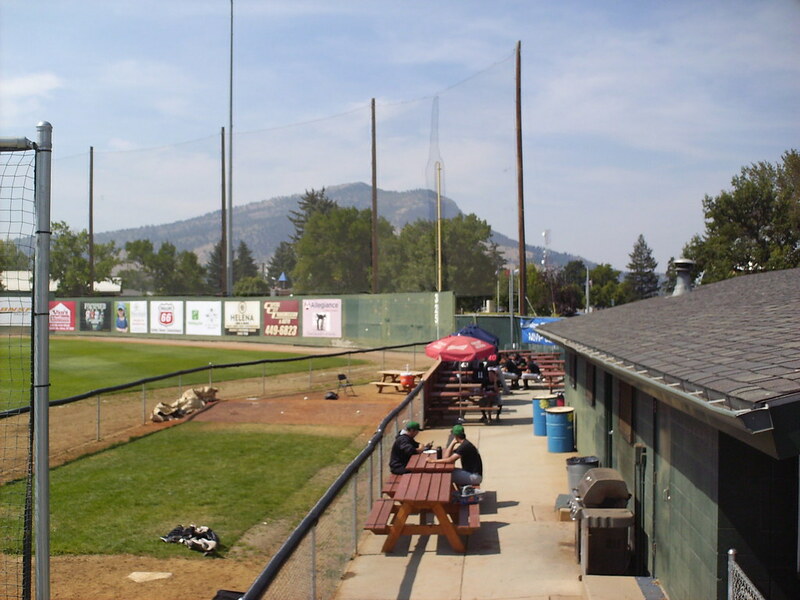 Picnic tables run between the clubhouse and the visitor's bullpen in the right field corner. 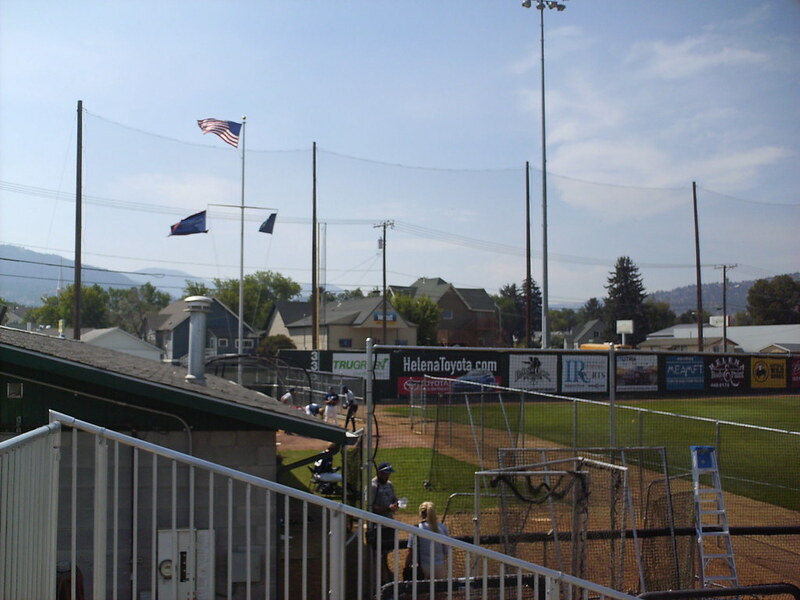 The home bullpen and flagpole sit in the left field corner at Kindrick Legion Field. 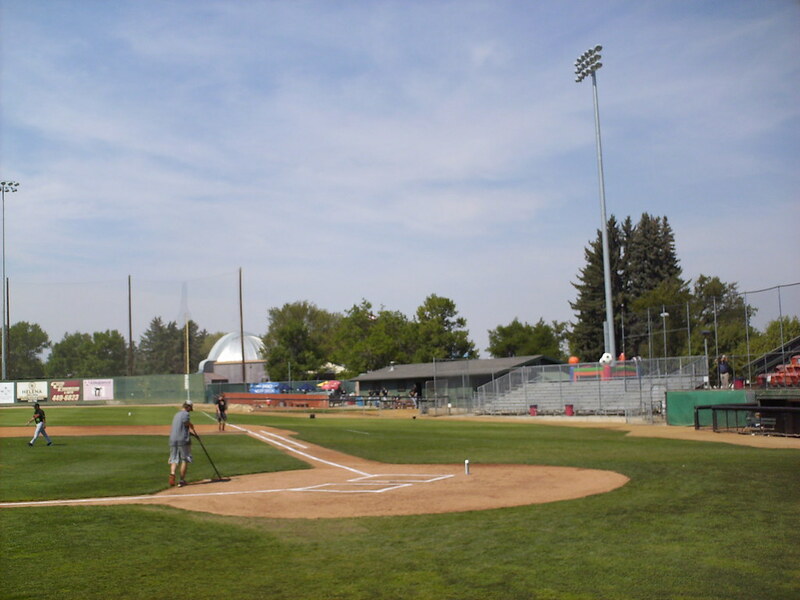 The park is in a semi-residential neighborhood and houses overlook the outfield wall. 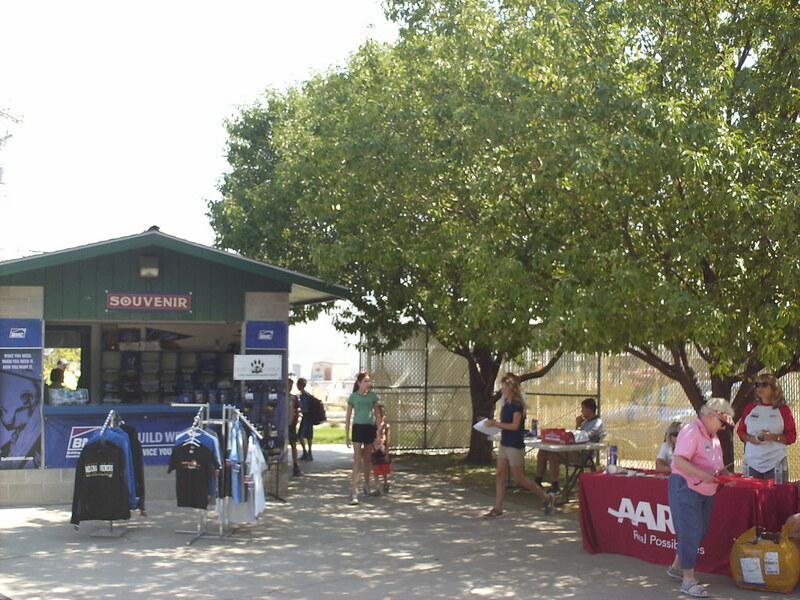 The outdoor concourse, with trees providing shade for fans at the souvenir stand. 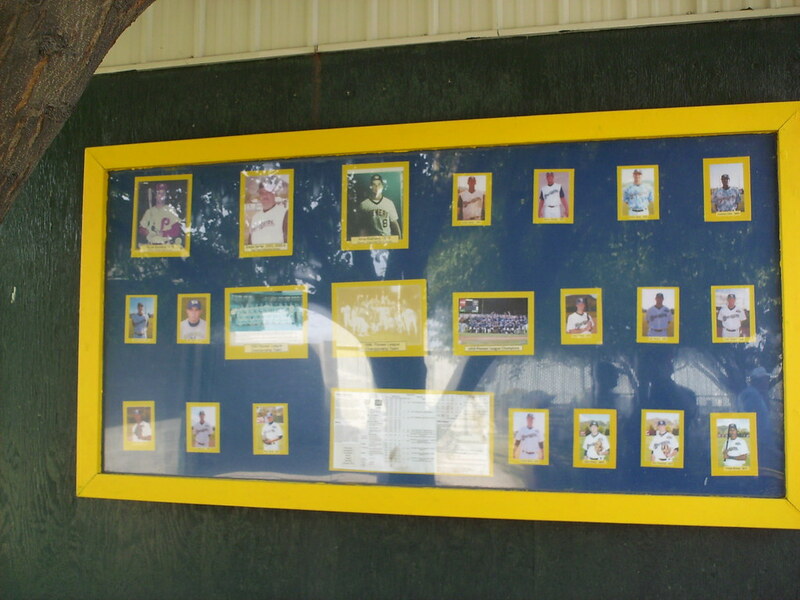 Posters along the concourse celebrate the history of baseball in Montana's capital city. 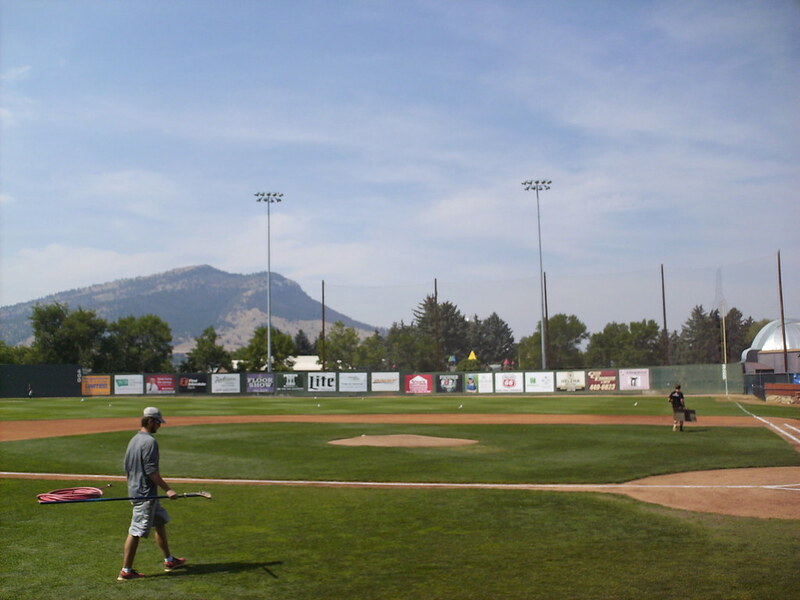 The scoreboard sits behind the left field fence, with mountain views beyond the wall. 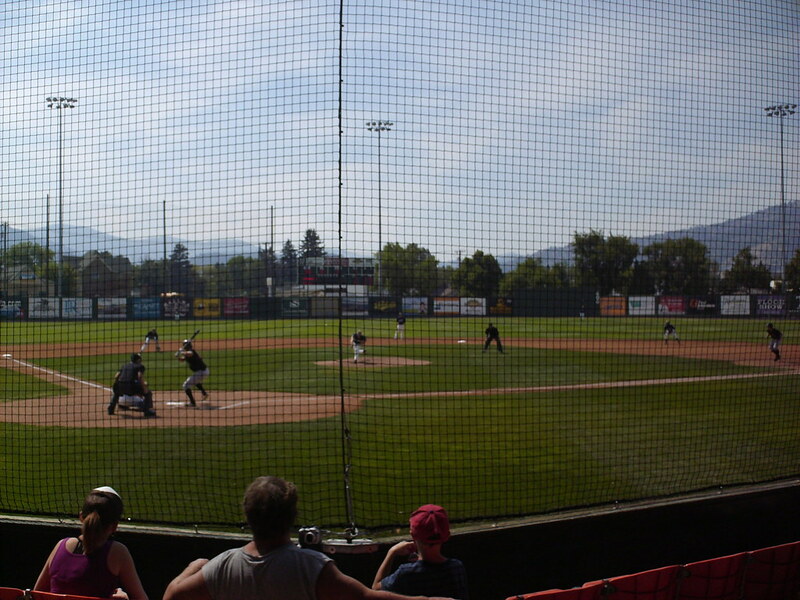 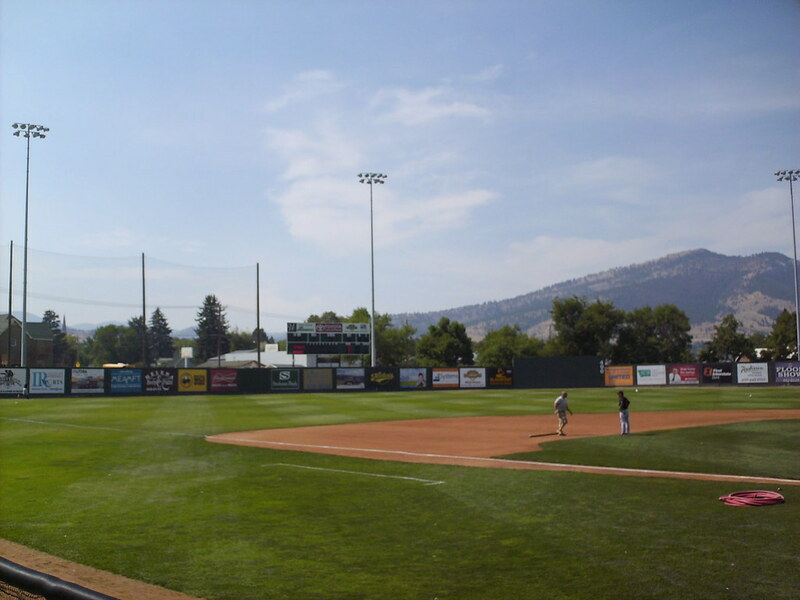 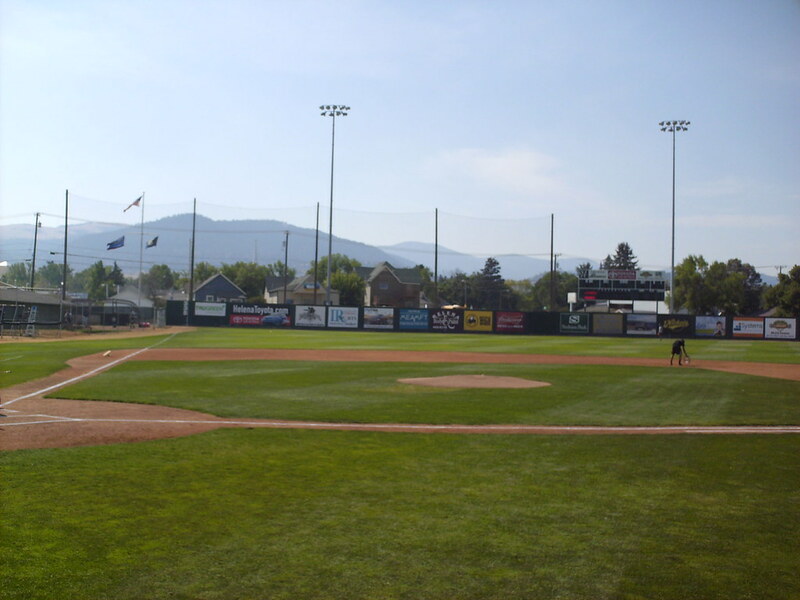 The Helena Brewers on the field during a game at Kindrick Legion Field.